We provide a set of many resources for your convenience. Download our documentation to get a better insight of our software. The ISILOG company is one of the historical leaders of not only IT and Asset management but also the assets technical management. Its IWS solution suggests the "ready-to-use" management of ITIL process as well as property holdings management, technical premises and their maintenance. ISILOG is the editor and the integrator of the IWS solution. These dual skills confer undeniable benefits to your project. The ISILOG group integrates its growth within sustainable develompent and continuous innovation dynamics. Just like other national companies, we operate in a globalized economy and a major international competition. To face this latter, it is necessary to capitalize on our skills and to develop our competitiveness. Ability to design, enable and produce solutions depending on the changing needs of the market firms. A group of 90 highly qualified experts who maintain and convey yesterday's skills and invent tomorrow's. Close to its clients, ISILOG group provides targeted software solutions by addressing a well-defined audience. This helps responding quickly to the developments needs. Our development strategy is based on 3 main axes : responsiveness, creativity and reliability. Since 1995, ISILOG company has been initiating a quality approach and has never thenceforth failed to honor its ISO certifications, constantly renewed with success. 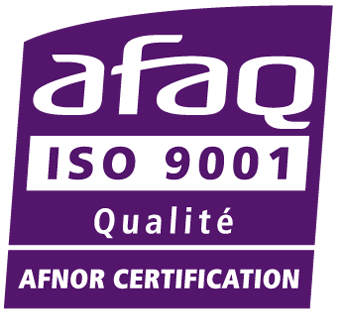 Efficient and experienced, on a daily basis for several years, quality management's system, recognized technical certifications (ISO 9001 and ISO 20000) are all guarantees of quality and success for our clients and partners. Proves the capacity of the ISILOG group to provide a service that meets our customers needs. 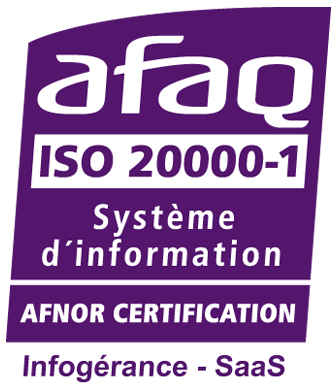 The capacity of our solutions to support an ITIL/ISO 20 000 organization. Proves the Quality of services provided to our clients. Proves the reliability and quality of the IWS solution and the associated documentations. Our recipe for customers satisfaction ? A pinch of innovation, a hint of humbleness, a lot of listening, all done by talented collaborators. And of course, a zest of good humor. By combining innovation and continuous improvement process, we are always ready to face the new challenges for the satisfaction of our clients. Innovative products, top-quality services, dynamic teams burgeoning in their work for the satisfaction of our clients. More than a software editor, ISILOG group is your privileged partner in your projects success. ISILOG, a human-sized company, has always been able to meet the challenges and be surrounded by exceptional employees. Our nimbleness and responsiveness have helped us to develop for more than 20 years. My mission ? To encourage, stimulate and motivate my teams, by prioritizing listening and directing our customers towards often-decisive choices for their organisations.